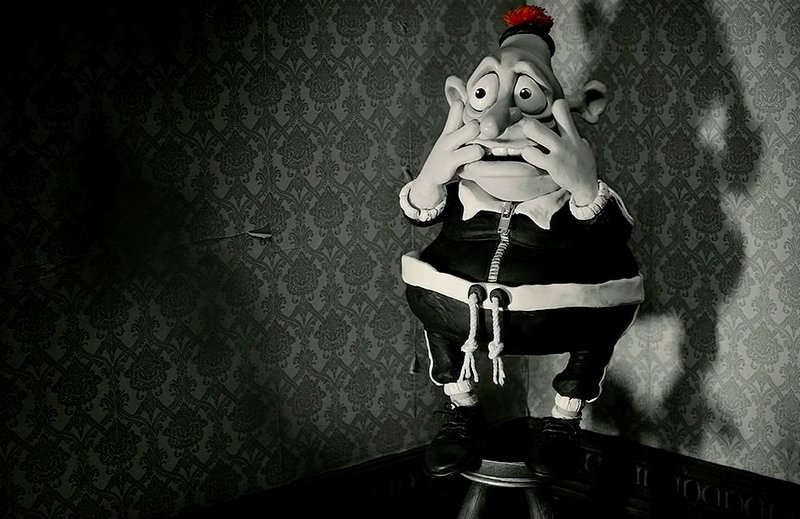 “I do not feel disabled or defective” (Max, Mary and Max, 2009). Fig 1 & 1a: A clearly anxious Max as he experiences sensory overload. Autism is described as a “spectrum” disorder, ranging from “classic” autism, involving severe learning difficulties, to high-functioning autism and Asperger’s syndrome, where typical levels of cognitive ability can be expected (Scott, 2002). However, all children and adults with an Autism spectrum conditions (ASC) experience difficulties with social understanding and communication skills. ASCs were once considered quite rare (Howlin, 1998) and studies in the late 1990s put the number at approximately 3 to 4 individuals in every 10,000 (0.03%–0.04%). More recently, the Center for Disease Control and Prevention suggest a prevalence rate of closer to 1 in 88, and as many as 1 in 54 for boys (CDC, 2012). 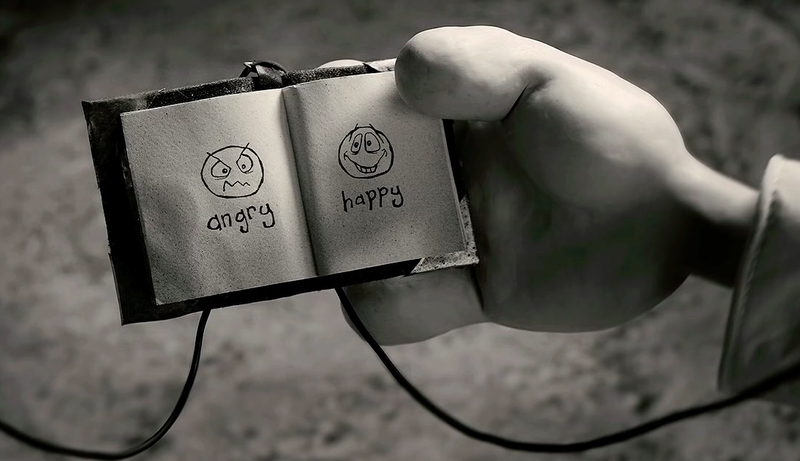 The context of autism (specifically Asperger’s; an autism spectrum condition) provides the backdrop, in part, for the animated feature Max and Mary (2009). 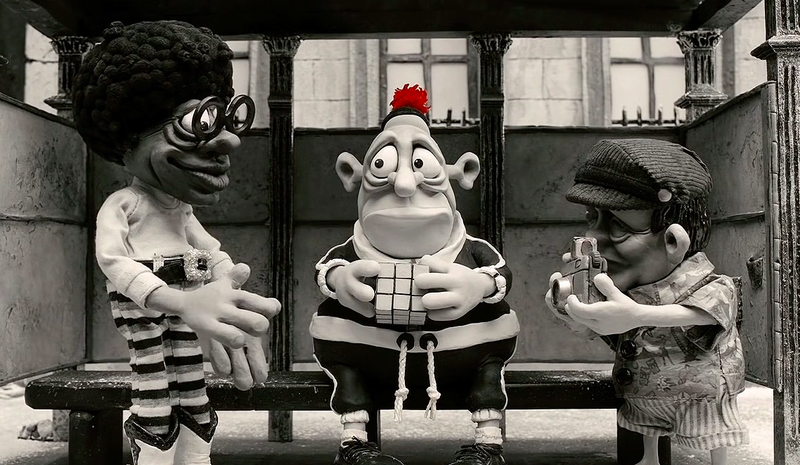 Directed by Adam Elliot and set in Australia, Mary and Max explores the relationship between a New Yorker, Max Horowitz and Mary Dinkle. 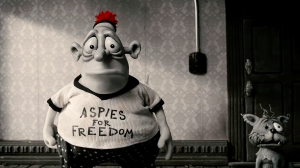 Max is portrayed as a lonely character and one who experiences several conditions (anxiety and over-eating being just two) and as we learn later Asperger’s syndrome. However, what is interesting is the exploration and representation of Asperger’s syndrome in the film. The audience (at various points throughout the film) is presented with scenarios that suggest problems with Max are mainly manifested through friendships and how he deals with (or struggles to deal with) people. The audience knows something is different about Max, but this is not spelt out until part way though the film. Clues and contexts are explored (his behaviours and even the use of black and white footage used during scenes with Max; underlining his perspective of life) but a diagnosis is not presented clearly until 52 mins into the film. At this point we hear from Max about how he was diagnosed: “Recently when I was in a mental institution they diagnosed me with a new thing called Asperger’s Syndrome”. See Fig. 2 and Clip 1 as an illustration of how this is depicted in the film. 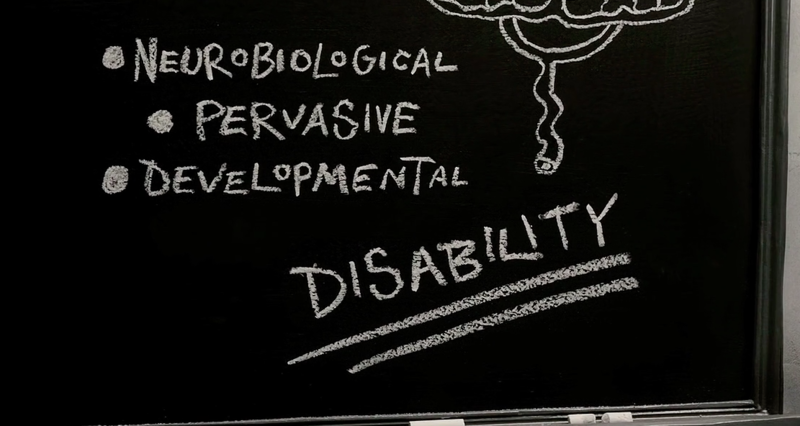 Notice how the word “disability” is underlined – twice. Fig 2: The message, along with Max’s narration, depicts the condition he is diagnosed with. We then hear how Max prefers the term “Aspie for short” (see Fig. 3). He goes on to describe some of the traits of an “Aspie”. It is through these carefully and well illustrated examples that introduce the audience to his perspective and public reaction to his condition; perhaps reflecting some common responses to people with this condition(?). Fig. 3: How Max sees himself; notice the dishevelled cat and the implied inability to look after a pet properly. As part of his coping strategies, we hear Max reflecting on how he used to make notes in a book to help him navigate confusing facial expressions (see Fig. 4). We then hear about how his newly diagnosed condition provides some possible advantages to his life: “solving problems” (see Fig. 5). So it’s not all bad – nor should it be so treated as such. 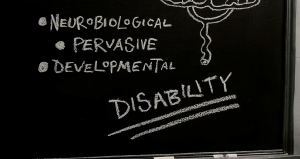 However, the film does tend to represent his condition in a bittersweet manner; exploring his condition (disability) with often negative impact. Fig. 4: The use of drawings in Max’s sketchbook to help him decipher non-verbal cues. Fig. 5: Max demonstrating his ability to complete complex tasks well; a well-known strength of an Asperger’s condition. However, it is the representation of how Max lives and how he manages to navigate the world around him that is fascinating and interesting. We are taken through what seems a confusing and at times sad perspective of the way Max lives. He relies on his relationship with Mary to help field ideas and questions about his perspective of the world and “mental illnesses”. 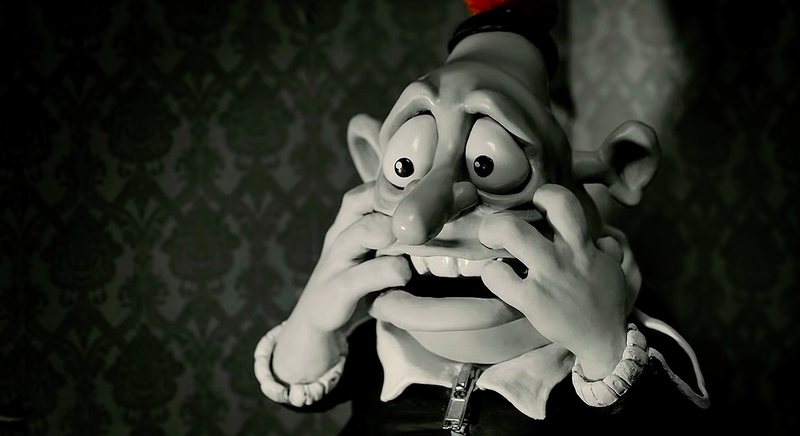 The way that the animation (and type of animation; Claymation) deals with and picks these themes up is expressive and at times emotive. 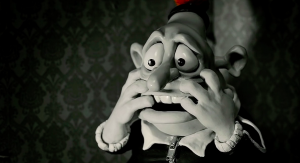 The use of exaggeration and other animation principles is well thought-out and utilized. 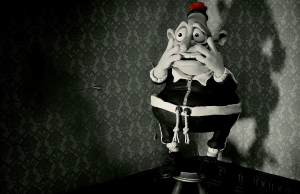 The issues of disability are squarely addressed in Mary and Max in ways more obvious than other animated features like Finding Nemo (see Millett, 2004 for a review), and are used to help progress the narrative and develop the story of the main characters’ friendship. Both Max and Mary have problems in their lives. Max’s condition is clearly defined and carefully explored with educated thinking. The film provides a space for us all to reflect upon how we imagine people with Asperger’s and how we might deal with – and treat others – with conditions that, at times, perhaps confuse us. Howlin, P. (1998). ‘Psychological and Educational Treatments for Autism’. Association for Child Psychology and Psychiatry. Journal of Child Psychology and Psychiatry 39: 307–22. Scott, F.J., Baron-Cohen, S., Bolton, P. and Brayne, C. (2002) ‘Brief Report Prevalence of Autism Spectrum Conditions in Children Aged 5-11 Years in Cambridgeshire, UK’. Autism, 6, 231–37. Dr Nigel Newbutt is a Senior Lecturer at Bath Spa University and lectures in the areas of media, digital cultures and animation. He has worked on animation projects and currently researches the role of virtual environments and the impact such technologies can have on young people with autism (and Asperger’s).